Has your skin got a touch of the winter blues? We’ve got just the thing. 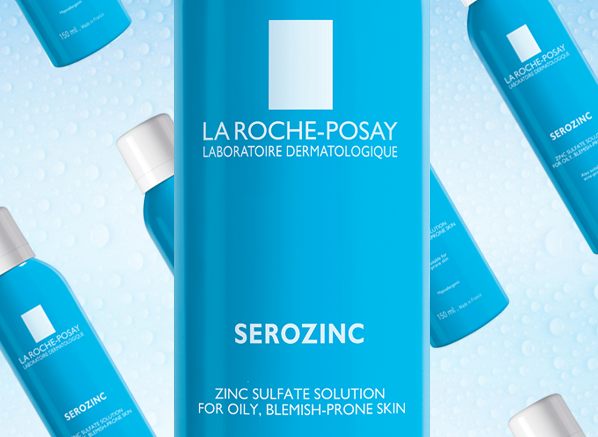 To celebrate the exclusive launch of Serozinc at Escentual we’re giving you the chance to win an entire La Roche-Posay skincare routine of your choosing! Like Escentual on Facebook and leave a comment on this competition post telling us your ideal La Roche-Posay skincare regime! Follow @Escentual on Twitter and RT our competition tweet! No purchase necessary. A purchase will not improve your chances of winning. Contest begins 16th February 2014 and ends 23rd Februaryr 2014. Winners will be selected in a random drawing on or about 23rd February 2014. Six prize winners will receive the items stated above. If the winner doesn’t respond within 7 days, the competition will be redrawn. Prizes must be accepted as awarded; not redeemable in cash or credit. This entry was posted on Monday, February 16th, 2015 at 9:00 am and is filed under Competitions, Skincare. You can follow any responses to this entry through the RSS 2.0 feed. You can skip to the end and leave a response. Pinging is currently not allowed. I’d love to use a combination of the Effaclar and Toleriane ranges, they’re fantastic for blemish-prone, sensitive skin! Anything to help my combination skin! I love the Effaclar ragime, I think my favourite from the range is Effaclar Duo, It’s great for breakouts.